Here’s the perfect opportunity to give your local shoemaker some love. 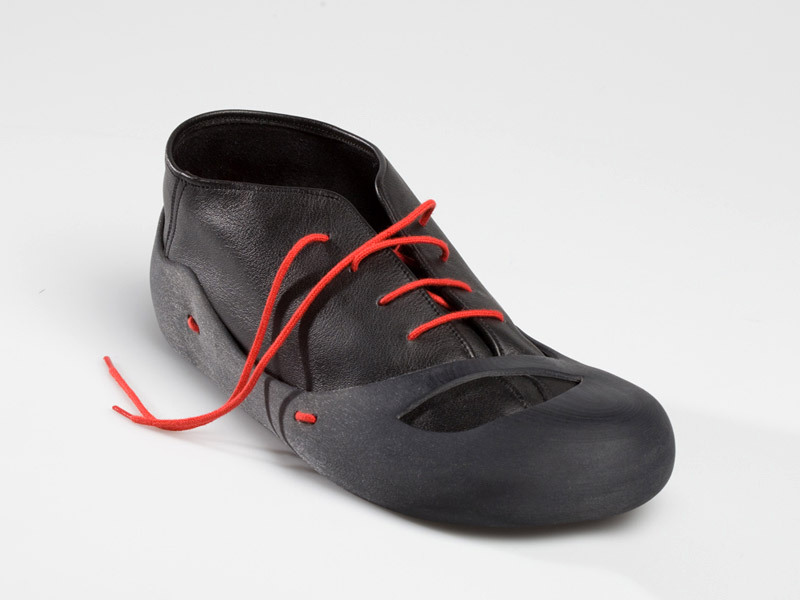 Jennifer Rieker, a German designer, has developed a modular system that relies on the craftsmanship of a shoemaker to stitch the inner shoe. Shipped flat in a vegetable-tanned leather envelope, which doubles as the inner liners of the shoes, each “Creo” kit includes shoelaces, a pair of recyclable thermoelastic polymer soles, two inner footbeds made from cork, latex, and jute, as well as a booklet detailing the materials used. The design’s primary goal is to integrate the wearer in the production process. By employing a local tradesperson to sew part of the shoes, Rieker says, the customer is acquainted with their origin and provenance. “In addition, the dialogue between the user and the shoemaker should encourage the user to take care [of] and repair his belongings more often,” she adds. All the components are made in Germany, which for German residents means shorter delivery distances, as well as strict working and environmental guidelines. And because the shoes can be assembled without glues or stitching once the inner portion is complete, it stands to reason that they can also be readily disassembled, allowing you to replace components as they wear out. Coupled with the use of recyclable materials, chances are slim that the shoes will end up in a landfill at the end of their useful life. Easily assembled, the shoes can also be readily disassembled, allowing the replacement of worn-out components. It’s also a lay-friendly introduction to shoemaking—just in case you’re so inclined to cobble your own together. Here's the perfect opportunity to give your local shoemaker some love. 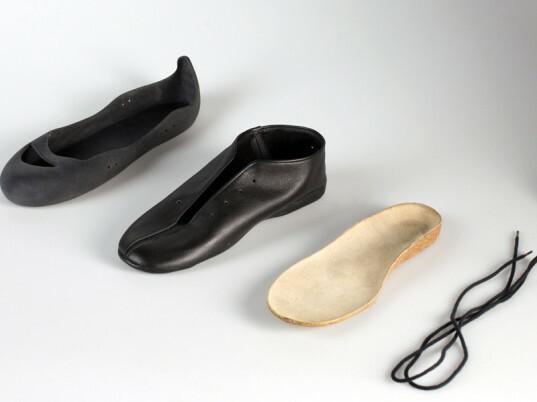 Jennifer Rieker, a German designer, has developed a modular system that relies on the craftsmanship of a shoemaker to stitch the inner shoe. Shipped flat in a vegetable-tanned leather envelope, which doubles as the inner liners of the shoes, each "Creo" kit includes shoelaces, a pair of recyclable thermoelastic polymer soles, two inner footbeds made from cork, latex, and jute, as well as a booklet detailing the materials used. The design's primary goal is to integrate the wearer in the production process. By employing a local tradesperson to sew part of the shoes, Rieker says, the customer is acquainted with their origin and provenance. "In addition, the dialogue between the user and the shoemaker should encourage the user to take care [of] and repair his belongings more often," she adds.